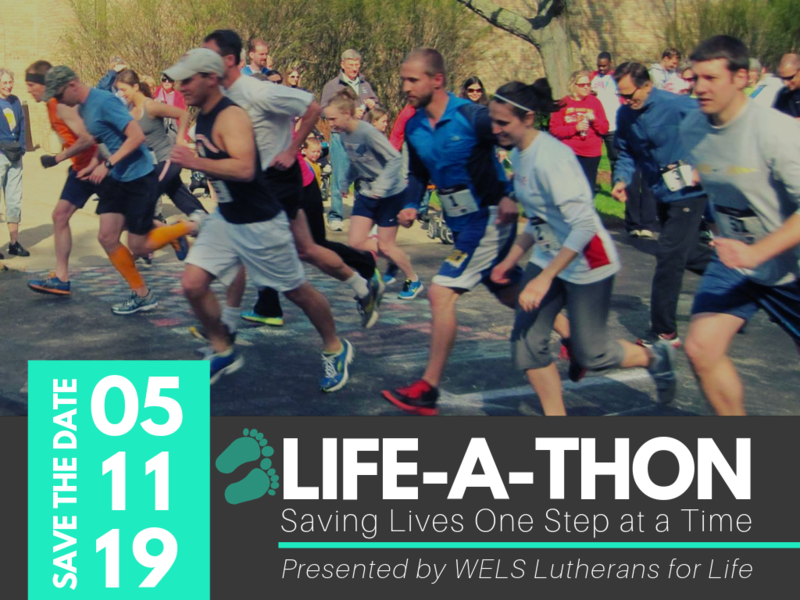 The annual walk/run to benefit the pregnancy medical clinic operated by WELS Lutherans for Life. “Obstacle Course” will be available for everyone to explore. It's not a “mudder” event... but it'll help you see life through the eyes of an abortion-vulnerable mother! Tours of the Seminary will be available. See our Facebook Life-A-Thon Event and share it with your social network! * PRIZE qualifications: Everyone who raises the bracketed amount will be entered into a drawing for that level prize. Only one prize awarded per level. One prize per person. The winners will be announced approximately one week after the event after all personal sponsor funds have been collected. ​To keep posted on details check back here or message to Contact@ALife2.com. Go virtual and walk/run on your own!